The Revenue Department has very close interaction with the General public. 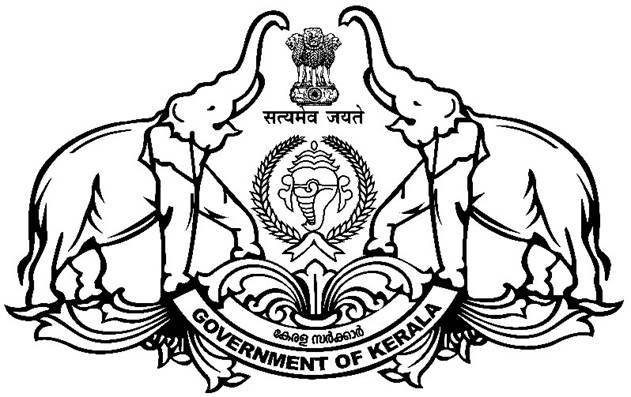 Every individual has to approach Revenue Offices frequently for various requirements.The District Collectorate or the District Revenue Office working under the Land Revenue Commissionerate in which working under the Revenue Department in Kerala Government is headed by the District Collector who is assisted by Deputy Collector / Huzur Sheristadar and Senior Superintendents. The District Collector is in overall charge of Revenue District in 2 revenue Divisions, 6 Taluks and 157 Villages. Each Revenue Division is headed by a Revenue Divisional Officer and assisted by a Senior Superintendent among others. Each Taluk is headed by a Tahsildar / Additional Tahsildar who is assisted by Deputy Tahsildars among others. Each Village is headed by a Village officer who is assisted by Special village Officer and Village Assistants. Every District has Taluk Land Boards headed by Revenue Divisional Officers / Deputy Collectors for disposal of land ceiling cases under Kerala Land Reforms Act. In respect of the Development Activities / Welfare Schemes the District Planning Officer, Assistant Development Commissioner and District women Welfare Officer assist the District Collector. And also the Finance Officer And the District Law Officer is assist the District Collector in the Finance Matters and the Legal matters respectively. District revenue Office / District Collectorate is situated in Civil Station, Palakkad. It is 2 Kms away from the KSRTC Bus Station, 5 Kms away from Palakkad Junction Railway Station and 60 Kms away from the nearest Airport ie Coimbatore Air Port. Revenue Divisional Office, Palakkad is situated nearby Sub Treasury Office, palakkad or Government Music College, Palakkad. It is 1.5 Km away from KSRTC Bus Station. Taluk Office, Palakkad is also situated in Civil Station. Palakkad. Revenue Divisional Office, Ottapalam is situated nearby Police Station, Ottapalam & Munciff Court, Ottapalam. Taluk Office Alathur is nearby Munciff Court, Alathur. Taluk Office Ottapalam is besides Munciff Court, Ottapalam. Taluk Office Chittur is in Mini Civil Station, Kacherimedu, Chittur. Taluk Office Pattambi is in Mini Civil Station, Pattambi. Taluk Office Mannarkkad is in Mini Civil Station, Kodathipady, Mannarkkad.